Risparmia $10.00 scegliendo ora questa opzione. 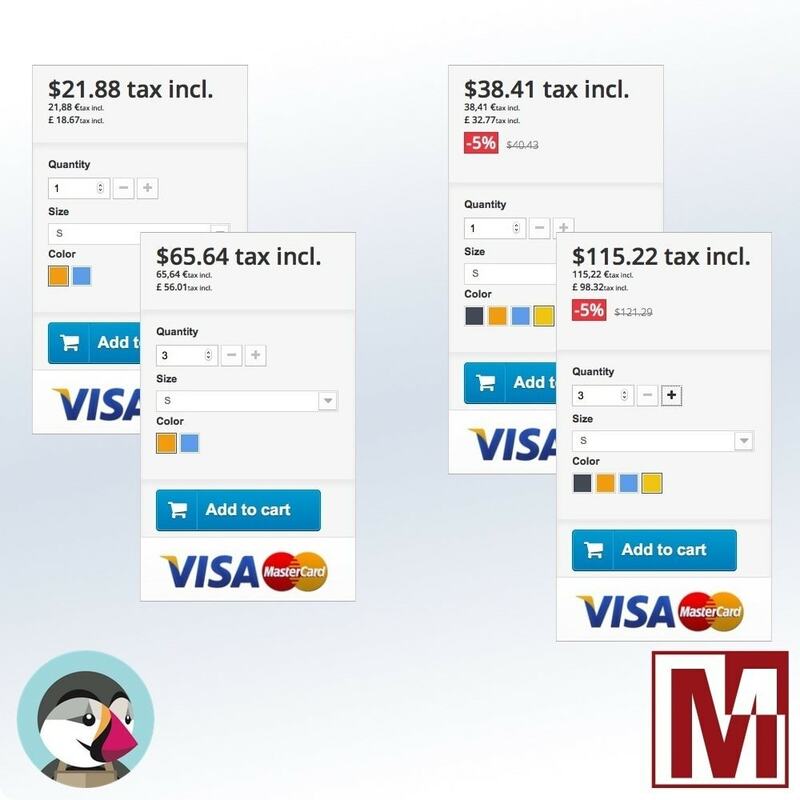 This module enable the calculation of quantity prices on all product listings in your store. And you can display price by currencies directly on the product page. This module requires no special configuration to work, you install it on your shop and it will be instantly functional. By enabling this, you will avoid the clients having to cart the products to know the real cost of their order to the risk that they forget to remove them later. And if you want you can select each currencies you want to display product price converting in real time on product page. This PrestaShop module helps to inform your customers of the savings on their shopping cart when promotions are applied on products and help your customers to validate order. This module allows you to easily and independently display the logo of the manufacturer and / or suppliers on the product page in your Prestashop store. But also on the product lists for example on the category pages. 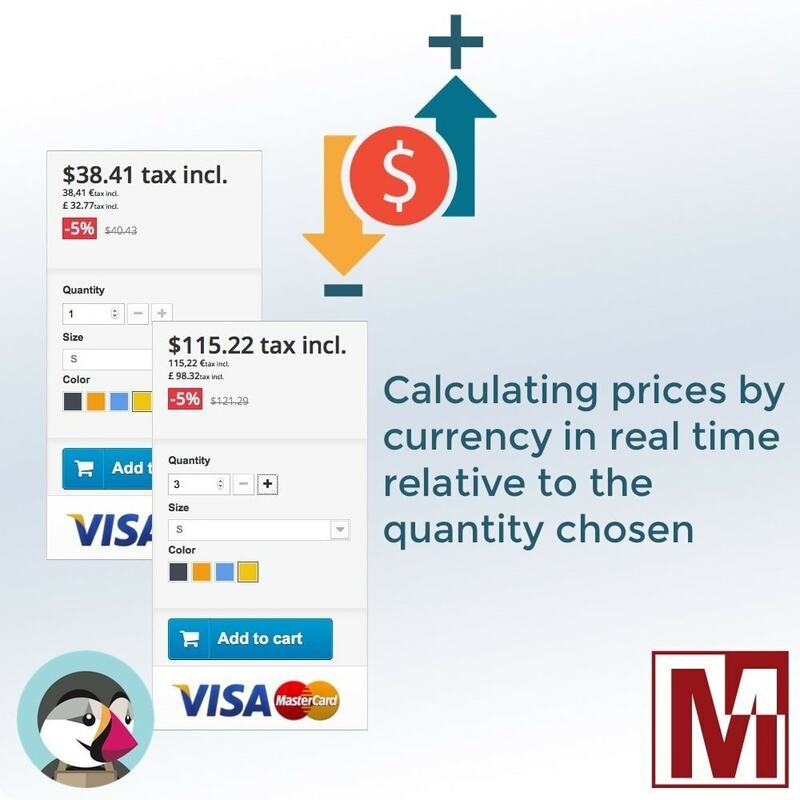 This module enable the calculation of quantity prices on all product listings in your store. And you can display price by currencies directly on the product page. Your customers will know instantly the actual cost of their purchase before adding products to cart. Clearly brings a better shopping experience on your site and your brand values and the overall feeling of customers to your store. This module meets all the normal installation module for PrestaShop. Keep the advantage by enjoying all the experience gained by the first module created to perfectly synchronize PrestaShop and Mailchimp in real time and the automation functions offered by Mailchimp for your communication. This module, dedicated to Prestashop, will allow you to export all your product catalog to compare prices Google Merchant Center (Google shopping). 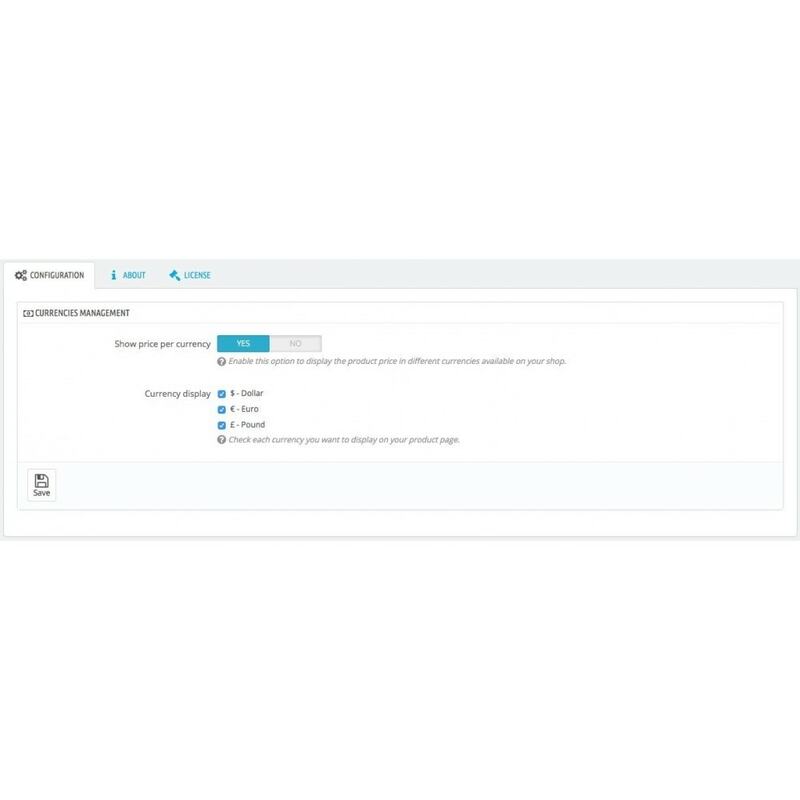 This module will give you a hand to alter and properly manage ALT tags to your images products and the meta title and meta description of the product all in a productive environment.